The SIMONA AMERICA Group is part of SIMONA AG, one of the leading producers and development partners in the field of thermoplastic products with production sites and sales offices around the globe. 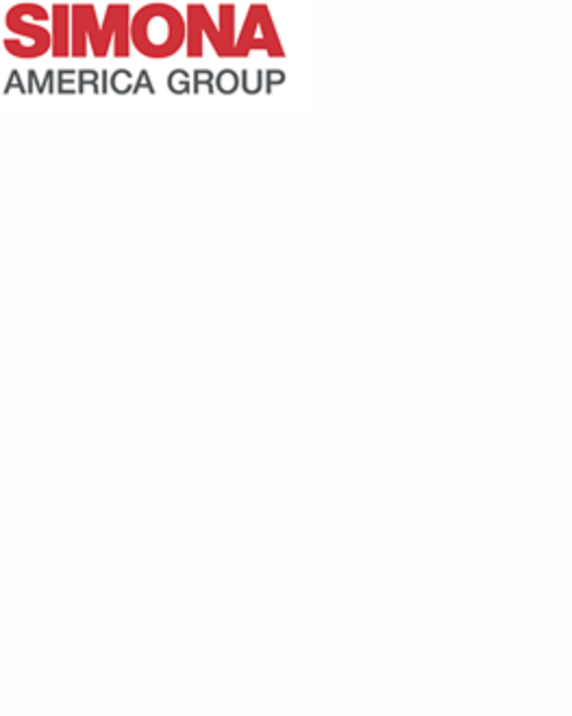 The SIMONA AMERICA Group, comprising the companies SIMONA AMERICA Industries LLC., SIMONA Boltaron Inc. and SIMONA PMC LLC. is a leading supplier of thermoplastic sheets, solid rods and welding rods made of PE, PP, rigid and expanded PVC as well as fluoropolymers including PVDF, E-CTFE and PFA. The product range provides consistently high quality solutions for the chemical process and semi-conductor industries, the aviation market, orthopedic and prosthetic devices as well as for applications in outdoor playground structures, signage, furniture and the marine industry. The group generates annual sales of approximately USD 80 million and employs 250 people. In acquiring Laminations and Boltaron, SIMONA AMERICA has considerably improved its position within the marketplace and has emerged as a major player in the US market. Additionally, the acquisition of Laminations has given us a larger stake in the global market for fluoropolymers, while the purchase of Boltaron has given us access to the growing market for aircraft interiors. These acquisitions represent a milestone for the SIMONA Group and are an integral part of our strategic reengineering program to accelerate growth beyond the borders of Europe. SIMONA AMERICA and Laminations operations and customer service are now consolidated at the Laminations site in Archbald, Pennsylvania. Effective July 1, 2014, the two companies have been operating under the name of SIMONA AMERICA Inc. while SIMONA Boltaron Inc. continues its business operations in Newcomerstown, Ohio. Effective August 1, 2018, the SIMONA Group has acquired Premier Material Concepts, LLC (PMC), Findlay, Ohio, USA. SIMONA PMC is an extrusion company specializing primarily in the manufacture of plastic sheet products used in recreational vehicles, agricultural, and industrial applications. SIMONA City is designed to capture the spirit of diversity that infuses our portfolio of products. It is also to be seen as an invitation to our business partners to join us in expanding the horizons of plastics engineering around the globe. Operating at a global level, we are acknowledged as a solutions provider for polymer-based applications. Our focus is on delivering customer value. Drawing on our advanced skills in process engineering, we offer first-class products together with the benefits of fast, efficient and reliable workflow. Our aim is to pursue growth on our own terms and remain independent. Our success is based to a large extent on the efforts of our high-calibre staff and their unwavering dedication. Indeed, professional development and personal advancement form an integral part of our day-to-day activities – and this applies not only to our employees. We also offer our clients a range of highly targeted training programmes, implemented either at our Technical Service Centre or at the customer's premises. SIMONA is committed to delivering cutting-edge solutions to address some of the most pressing issues facing our society in the future. Plastics are predestined for applications within the field of environmental protection, energy provision, mobility and water supply. We have formulated a corporate strategy that is targeted closely at these areas of business. SIMONA is a pioneer in environmental protection. For decades, we have been producing PVC sheets without hazardous lead stabilisers. 95% of the waste produced during operations is recycled. We are committed to the continuous advancement of energy efficiency at production level. Our integrated quality, environmental and energy management system provides the basis for ongoing improvements to the quality of our products and processes as well as the sustainability of ecological protection, in addition to helping us optimise our energy footprint and reduce CO2 emissions. Our management system is compliant with the requirements of DIN EN ISO 9001, DIN EN ISO 14001, DIN EN ISO 50001 and ISO/TS 16949. Committed to its social responsibilities, SIMONA supports a number of aid projects, educational facilities and other initiatives throughout the region and beyond. In 2007, Anita Bürkle, widow of Dr. Wolfgang Bürkle, who was SIMONA AG's CEO and later Chairman of the Supervisory Board for many years, established a foundation by the name of "Dr. Wolfgang und Anita Bürkle Stiftung". The shares in SIMONA AG bequeathed to Mrs. Bürkle by her late husband were transferred to this foundation. Its objective is to support and promote worthy causes in the town of Kirn and the region as a whole. SIMONA AG shares are traded in the General Standard of Deutsche Börse, Frankfurt (Germany), as well as in Düsseldorf (Germany). Approximately 11% of our stock is held in free float, i.e. by the wider public. We are committed to a consistent and stable dividend policy, together with an attractive dividend yield.